1. 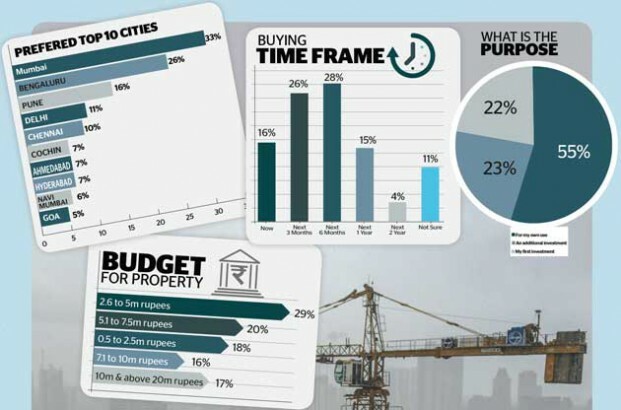 Is it really the right time to buy property in India? With a lot of positive cues, many claim that it's best to invest in Indian property nowadays. We found out if this is really true. India's property sector will sustain positive trends to see good times ahead due to positive measures taken by the government of Prime Minister Narendra Modi to introduce land reforms and open up the market for foreign investment, experts and developers say. Speaking to Khaleej Times on the sidelines of a property exhibition in Dubai, developers said a high gross domestic product of more than seven per cent, strong fundamentals and government initiatives for the sector indicate robust market growth this year. Paresh Hardwani, chief executive of Delpha Realtors in Pune, said real estate companies looking to list their commercial assets haven’t had their task made any easier. Elaborating, he said developers listing their commercial assets as Reits will get a one-time exemption on capital gains when the trust lists. So far, the preferred route for developers has been private equity players. In a country where the fascination for real estate (and gold) runs deep, he said it had been hoped that Reits would provide retail investors with another avenue of investing in real estate. Unfortunately, that is still some time away. “Foreign investors could still bite though. Rental yields in India are among the highest in the world. The supply of Grade A office spaces in metropolitan clusters has increased considerably in the last five years. And with stability having returned to the rupee, investors can forecast their returns much more easily,” Hardwani said.